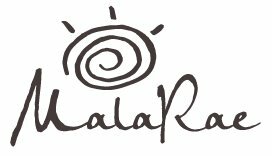 It’s DAY 4 of our amazing MALARAE 12 DAYS OF GIVEAWAYS and it’s a big one… we are so grateful to be partnering with PRANASHANTI YOGA CENTRE to give you a ONE MONTH UNLIMITED YOGA PASS + 60 MINUTE MASSAGE! (value $222) Yes, you read that right! So awesome!! BONUS+++: We’re adding the MALARAE LOVE BRACELET to today’s giveaway (value $32). You will have TWO chances to win this epic prize (one month unlimited yoga from PranaShanti + MalaRae Love Bracelet). One will be given away on the 13th of December - the other will be a part of a GRAND PRIZE draw at the very end of the giveaway when someone will have the chance to win EVERYTHING from the entire MalaRae 12 Days of Giveaways. Total value = $1768.50!!!!! Stay tuned for more details! Day 4 giveaway contest runs until midnight EST December 12th, 2016. I have been to Pranashanti!! It’s absolutely lovely!! I’ve never been to Pranashanti! I hear the RMTs are wonderful, great gift for this time of year! I’ve never been to PranaShanti but have been interested in their studio since August when I started going to Iron North studio close by. I’d love to try a different studio to add to my practice. Thank you for the chance to win so many awesome prizes! I haven’t been to PranaShanti Yoga Centre yet but I will be attending the mala making workshop on Dec. 11th for which I’m super excited about! The prizes so for are truly awesome! What a great way to discover amazing local merchants. I have been to PranaShanti before… it’s a wonderful studio! I’ve never been but this beautiful place is definitely on my to do list! I’ve been working a lot of overtime and could use a massage! Everytime I have been to Pranashanti it has been such a great and centering experience. Moved closer to the studio recently so really need to get back in the routine, this giveaway would be perfect help! I could really use a massage!! I went to PranaShanti for the first time today for the Mala workshop! Would love to go back for some yoga!! I love Prana shanti so much! Would love to do a daily practise.